Curbstoning is an illegal scheme in which people draw car shoppers to places such as the side of the road or a vacant lot and sell them unfit used cars without the necessary permits or licenses. Avoid curbstoning by learning more about how it works and following several steps. Why Is it Called Curbstoning? Curbstoners sell cars without permits, a dealer's license, or a regular place of business. These sellers may be car dealers presenting themselves as private sellers. To make their illegal transactions look like private sales, unscrupulous auto dealers may offer their used vehicles from a parking lot, curb, or in front of a residence, so the practice is called curbstoning. Car dealers who engage in curbstoning are dodging your right to take advantage of consumer protections such as federal warranties and state lemon laws. Curbstoners sell damaged and salvaged used cars to buyers and vanish. Buyers from curbstoners don't have any seller contact information, leaving them stuck with worthless or dangerous cars and problems. Curbstoners buy vehicles cheap from salvage yards, at auctions and from private sellers. These motor vehicles may be junked SUVs, wrecked trucks, or flooded used cars. 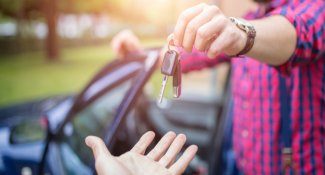 The vehicles are not fit for sale on the open market, and the unlicensed dealers selling them do little or no mechanical repairs or safety checks. After some cosmetic work, these used cars that are unsafe to drive end up on eBay or Craigslist, on pop-up lots or by the side of the road with "For sale" signs on them. For example, California authorities confiscated a curbstoner SUV sold with misaligned doors, unsafe frame welding, and without airbags. 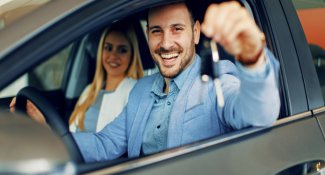 When you don't buy from a reputable dealer, you risk purchasing a used car with the odometer rolled back, undisclosed frame damage, a salvage title, or mechanics' or promissory liens. Illegal used car sales put you and the public at risk by placing dangerous motor vehicles on the streets and roads. They deprive honest car dealers of sales revenue and governments of taxes for public uses. Industry experts say curbstoners are behind a high number of online classified ads for used cars. Curbstoners can flip several motor vehicles in a few weeks of illegal sales. Before making an offer on a used vehicle, look for red flags that the seller is a curbstoner. If used vehicles appear suddenly in places such as parking lots or by the side of the road, beware. When there's a phone number or contact information on a "For Sale" sign, check other signs for different used cars and see if the information matches. Sites offering free advertising, including Craigslist, may reveal the same phone number for several private party sellers. Do an online search of the number and if it's linked to other motor vehicles, steer clear of the transaction. Another way to check whether a phone number is tied to a curbstoning scheme is to call the number, ask about "the car," and see if the seller says, "Which car?" That's a clue multiple used cars are linked to that number and the so-called private party might be a curbstoning scammer. Before you take the time to inspect a vehicle, ask the seller some specific questions about the vehicle's history over the phone. Find out how long the sellers have owned the car and why they are selling it. Ask whether they have the vehicle's maintenance records and whether it has been in an accident. You want to know whether they have the vehicle’s title and if their name is on it. If not, ask who holds the title and why. You want to verify a relationship with the vehicle's actual owner. 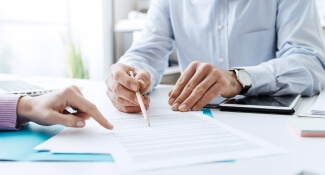 Reputable car dealers have offices and keep records to meet government requirements. These auto dealers sell vehicles by using practices that provide consumer protection. Curbstoners don't work that way. Watch out for curbstoner behavior, such as refusing to accept your check or money order. By insisting you pay cash, there's less of a paper trail and the scammers can avoid paying sales and income tax. In these illegal car sales, curbstoners won't give you maintenance records that match the car or let you get an independent inspection. These items reveal dangerous damage, shoddy repair work, or failure to repair. People who sell vehicles from salvage illegally may not let you obtain Carfax reports because vehicle history reports show when vehicles are purchased from auction sales. If a seller doesn't show you the title, or you can't verify that a seller's name on their driver's license matches the name on the title, you might be involved in a curbstoning scam. If you think you're a victim of curbstoning or that an auto dealer is pretending to be a private party seller to avoid their legal obligations, seek legal advice from an attorney as soon as you can. You might have a civil claim against the seller or car dealership and can recover any money you spent. Report the facts to your local law enforcement department or the Department of Motor Vehicles, as they may want to investigate possible criminal charges. Taking these steps can protect you and the car-buying public from danger and fraud. Curbstoning happens, but don't let the prospect of it deter you from searching for a motor vehicle bargain. When you're looking for a used car for sale, the one you read about in an online ad or spot on someone's front yard might be a solid car from a legitimate private party. Before raiding your savings account, research the make and model, read owner reviews, and check the title. Find out as much as you can about the individual vehicle's history. The car’s vehicle identification number (VIN) allows you to gather this crucial information. Take a test drive and hire a certified mechanic to do an independent purchase inspection. If everything checks out, make your best deal, write the check, and drive away happy.